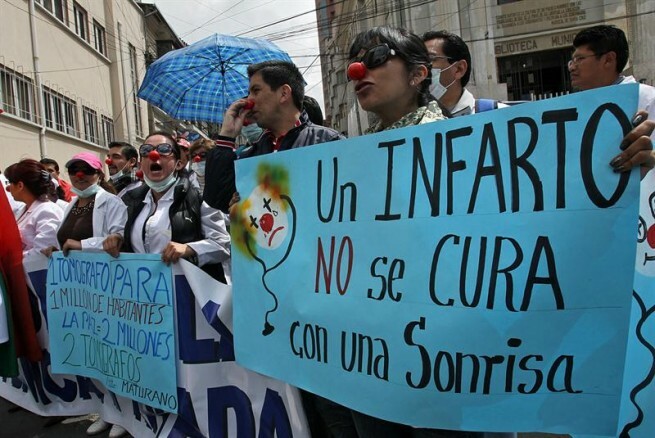 Evo Morales has announced that he is suspending a decree that was intended to increase the working day of doctors and health professionals to more than 8 hours. The suspension of the decree is in response to an indefinite strike by health workers. Bolivia’s largest union, La Central Obrera Boliviana, had also planned a strike against the degree for next weekend. The strike was also intended to draw attention to the perilous state of the country’s hospitals, the lack of plans to increase health care provision in line with population growth, and the continuing shortages of supplies and medicines. This is not the first time that Morales has stepped back from a policy in response to huge protests. In January of last year he retracted a proposed 70% rise in petrol prices after it provoked huge protests. Morales has been successful in tackling some of Bolivia’s major problems. Poverty has decreased, the budget is balanced, and inflation is under control, but if Bolivia is to truly make strides towards becoming a modern country then Morales will need to find some cojones and implement his policies with a little more conviction. The War on Democracy (2007) is a documentary directed by Christopher Martin and John Pilger about the negative impact that US involvement in Latin America has had on the region. It documents not only past but recent US intervention, and demonstrates the human cost of US actions. There is no doubt that John Pilger has made some great documentaries about Latin America, and especially US involvement in the region, but I am still not quite sure what to think about him. Whether you agree with him or not, the film makes for fascinating viewing. The film is also available on google video. For more information see John Pilger’s website and the film’s page on IMDb. Bolivian President Evo Morales announced yesterday that he was nationalising Transportadora de Electridad (TED) owned by the Spanish company Red Eléctrica Española (REE). Certain new sources, such as El País, have made a direct comparison between Morales’ actions and the expropriation of YPF a few weeks ago. There are, however, important differences between the two. First, Morales used the same justification as Kirchner: that the Spanish company had not invested enough in Bolivia. ‘This company was profitable, but there was almost no capitalisation, almost no investment. In 17 years they had only invested $81 million,’ he said. Whereas Kircher’s claim that Repsol had not invested enough is difficult to sustain, Morales’ statement seems much more credible. Second, the tone that Morales used was much less aggressive than Kirchner’s. In his original announcement he said that he would be negotiating with REE to ensure that an agreement will be reached. Kirchner’s aggressive rhetoric and the poorly managed expropriation has caused significant tension between Argentina and Spain, and now Spain wants to impose economic sanctions. Third, Bolivia has the necessary expertise and capital to run and expand the country’s electricity network; the country does not require large quantities of foreign investment to ensure a good supply of electricity. On the other hand, the Argentinian government, by deterring foreign investment, has jeopardised the country’s future ability to fully exploit its reserves of shale oil and gas. 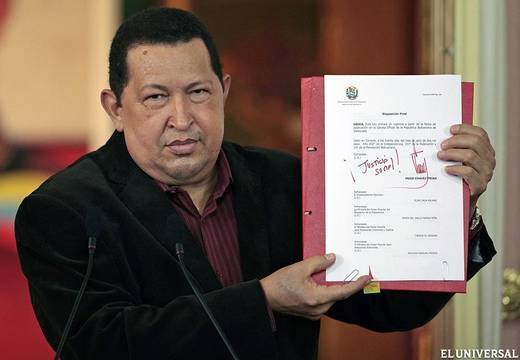 The new labour law that Venezuelan President Hugo Chávez announced today will reduce the working week for Venezuelans from 44 hours to 40 hours, among other measures. 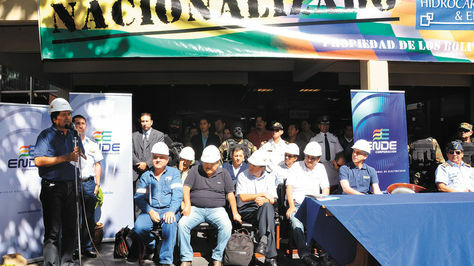 Chávez says that companies will have up to one year to comply with the new measures. The improvement of labour conditions is an obvious priority for Chávez as part of his vision of ‘Socialism of the 21st Century.’ Labour regulation across Latin America is generally weak, leaving workers open to abuse and some of the highest working hours in the world. With the Venezuelan economy struggling, however, now might not have been the best moment to impose new regulations. I read an interesting article today on the BBC about the way in which indigenous groups across Latin America are collaborating in order to share ideas about how to oppose projects that threaten their ways of life. The inter-ocean highway, a road that will run from the Atlantic coast through Brazil, Bolivia and Peru to the Pacific coast, has been especially important in prompting groups with common interests to cooperate. There is an interesting video about protests against the highway in Bolivia here. Various indigenous groups have meet at summits, and they are increasingly using the internet to share ideas and build links with one another. Groups have also shared ideas about how to oppose hydroelectric projects, which indigenous groups have opposed strongly in both Chile and Brazil. The strengthening of indigenous groups can only be a good thing for democracies in Latin America that are still far from being truly representative. Their increased involvement in national and international communities should ensure that they are better represented and that their interests are properly considered by governments. However, if they truly want to be incorporated in the body politic (and some do not) then they must accept that their wishes have to be balanced against the need for better infrastructure in order to promote economic development. This is a blow for leaders such as Guatemalan President Otto Perez Molina, who has called for a drastic change in Latin America’s thinking on the drugs problem. At the summit he asked for a ‘serious dialogue in which we scientifically analyse what is happening with the war on drugs.’ Even Santos is considering the option of partial legalisation. Despite the fact that Obama claims that he is open to debate, it is clear that the US wants to maintain the status quo, and has even impeded srerious debate on the issue. I am currently away in Poland at the moment so my posts during the next few days will be on the briefer side while I enjot copious amounts of pierogi. 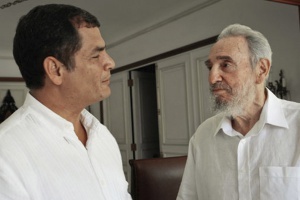 Ecuadorian President Rafael Correa has announced today in a letter that he will not be participating the the Summit of the Americas, which is due to take place on 14th and 15th April in Colombia, because Cuba has not been invited. 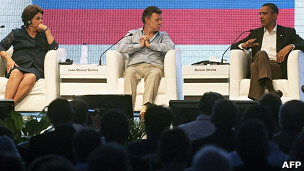 Correa commented that, ‘they talk about a lack of concensus, but we all know that it is about the veto of hegemonic powers, which is an intolerable situation in 21st century Latin America.’ Despite many promises and a good amount of posturing over the decades, he is the first head of state to make good on a promise not to attend an international summit in the Americas to which Cuba has not been invited. The the Organization of American States (OAS) has had an active role in preventing Cuba from attending international summits in the Americas for some time now. The OAS says that it cannot invite Cuba because it does not meet OAS requirements for democratic governance. Those requirements, however, were initiated in 2001 specifically to exclude Cuba from inter-American decision making. Under huge US pressure the OAS expelled Cuba in 1962 for sponsoring military activity in other Latin American nations, and since then the US has consistently blocked proposals for Cuba’s reentry. That in the 21st century, Cuba can still be isolated in the hemisphere is a disgrace that all Latin American governments should be held accountable for. For the first time a Latin American president has stood up and refused to attend a summit because of the absence of Cuba. Not only is that a reflection of the growing confidence of Latin American countries, but also an indication that US influence in the region is waning. Unfourtunately, Correa’s call on the other key members of the ALBA grouping to do the same fell on deaf ears. Bolivia, Venezuela and Nicaragua have all confirmed that their presidents will be attending the summit. So much for the Bolivarian dream.